Bingo is the UK's Favourite Game! Football fans might have a word to say on the matter, but for many people bingo is the most fun you can have with balls. It's the real beautiful game, and it doesn’t require shorts, running around, or getting muddy. This simple game of numbers has become a global phenomenon thanks to the web. It is bringing bingo to new players and adding a new dimension to a game that has been with us since the 16th century. In the UK and the US, bingo was associated with older women and with tiny church halls and social clubs. 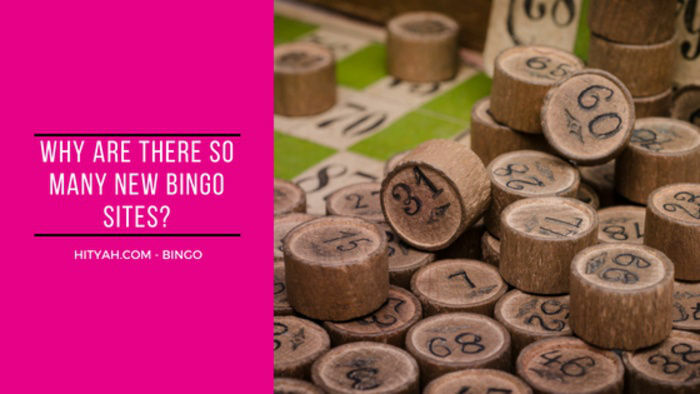 There’s still some truth in that – it’s a game anyone can enjoy and is a natural fundraiser – but bingo has started to spread its wings. The idea that bingo halls need a separate carpark for walking frames is changing, as up to 30% of players are now under 30. Those older people who enjoy it are doing the right thing according to researchers. They found that bingo does great things for Alzheimer's and Parkinson's disease sufferers. Glamorous celebs like Spice Girl Mel B back big brands and Robbie Williams has admitted to a bingo habit. Did you know that Russell Crowe once served as a bingo caller? It can be macho too, with a strong history in the British military, where it’s valued for its simplicity. You can play anywhere, and it has morale and team building qualities. Most of all, bingo is great fun and very social. Bricks-and-mortar bingo clubs are known for their friendly, welcoming atmospheres. No new bingo site would consider launching these days without a chat facility. This allows players to gab about the game, the weather or whatever else takes their fancy. If you’ve never tried bingo, it’s time to get the ball rolling, if you’re an old hand perhaps you’d like to explore the new worlds of bingo online. Bingo is played around the world in both its physical and online forms. There is a grain of truth somewhere in many stereotypes, and many more women than men still play bingo. In 2010, the UK’s Gambling Commission found that 12% of women played bingo, double than the 6% of men who did. The mismatch apparently rises if you look at online bingo. 80% of online players are women compared to 75% offline. There is some speculation that men might have been signing up at sites with female names to avoid the stigma of being spotted playing what is traditionally viewed as a women's game! Bingo’s fun! It’s easy to play and easy to get competitive about. The game has been designed for close finishes, and we love those! People do play bingo just for fun, but it’s generally played for the chance to win a bit of money. It’s the promise of reward that drives many players. While bingo was historically a low-stakes game with pretty low prizes, modern technology has changed that. Big jackpot games are played simultaneously in networks of halls. This is how Soraya Lowell of Motherwell in Scotland managed to pocket a £1,167,795 prize in 2008. Playing online means there is a world of players to contribute to big progressive jackpots. John Orchard knows this as he won £5.9 million in December 2012. We’ve mentioned the possible health benefits of bingo, and there’s good research to back up those claims. The offline game has been found to keep hand-eye co-ordination and memory up to scratch among older players. Bingo is very much a social game – and there’s plenty of evidence that being with other people is psychologically beneficial. Lifelong friendships have been forged over the card and dabber. Online bingo sites soon found that players demanded that interaction even if they were playing in an empty room at home, and introduced chat rooms. With automatic filling in of called numbers on offer, the chat is a huge part of the experience for many players. What do you need to play bingo? Not much! You need a means of randomly picking a number between one and 90, and a way of communicating those numbers to your players. Players need game cards printed with a selection of those numbers. The random numbers used to pop out of a bingo cage. This was a simple wire arrangement that you put your bingo balls into, give a spin and put in your hand and pull out a number. A smarter version is the bingo blower, which uses a jet of air to shoot a ball up a tube for the caller to pluck. The players are told what’s going on by a bingo caller – including in one New Zealand Hall Russell Crowe, who true to form, was canned for his risqué calls. You need a certain amount of style to be a bingo caller. Players have cards with 27 spaces, in nine columns of three. There are five numbers on each row, with each column containing numbers from 1 – 9, 10 – 20, and so on from left to right. Once the game starts, the numbers are selected, and the caller reads them out. Players mark off each number called that appears on their card. Prizes are awarded to the player who fills in their card first. Traditionally a full house is greeted with the shout of “house” or “housey”. Some games also reward the players who are first to cross off a full line of numbers then two lines of numbers. Americans usually play with 75 balls and a square ticket of 25 numbers. The five columns on the ticket are headed with B, I, N, G and O. Rows, columns, diagonals or other patterns must be filled to win. Both variants offer players the option to buy sets of cards. In 90-ball a strip of six, in 75-ball a set of three. These contain all the possible numbers so that players will be able to cross off a number for every call. Bingo was born in Italy in around 1530, when it was a variation on the lottery theme called "Il Gioco del Lotto d'Italia". The French took up the bingo baton, calling it Le Lotto, and added the card tokens and number calling during the 18th century. By the 19th century, German school children were being helped with their arithmetic with bingo games. How to play bingo has changed very little since Ward's version. With its regional variations like the 90 balls in the UK against the US’s 75, bingo is now a major global game on the web. The history of bingo games online may be a subject for future historians because the facts are quite hard to pin down as yet. What most people agree on is that the first site was called Bingo Zone, and it launched in 1996. (Another site called Cyberbingo also opened in 1996.) Instead of offering cash prizes and charging for tickets, the Bingo Zone collected information that it used to serve up targeted advertising. The same year, the first online gaming for cash was pioneered. In 1997, a company called Virtual Holdings Limited launched. They would become Cassava, the owners of 888, and best known to online bingo players as the company behind Dragonfish, the internet’s biggest bingo platform. The first UK independent site, Think Bingo, was opened in August 2004. One of the highest profile sites, Foxy Bingo, was launched the following year. In March 2007, Cassava spent a cool $43.4 million on buying the bingo sites owned by Globalcom. In 2009, Cheeky Bingo pioneered real cash prizes for free players. There was consolidation in 2009 as 888 bought Wink Bingo and other sites from Daub. In 2010 Party and Cashcade, two big operators merged. The first Facebook bingo was 2011’s Wonder Bingo. The market is now huge. At 31st March 2015 the UK Gambling Commission licensed 49 bingo operators. In 2014, the BBC reported that there were around 350 sites. In the year to September 2014, £76.67 million was wagered on the game. Bingo is the fastest growing sector of the online gaming market. It’s no surprise. The simple, graphical game of bingo is a natural fit for computer – and now phone and tablet screens. Players log-in to their site. Clicking a “play now” button will in most cases open up a new screen called the Games Lobby. Here you’ll find all the games listed, usually by type – 75- and 90-ball are the most popular – but also by ticket price and prize size. Choosing a game and clicking on it to play will take you into a bingo room. Here you’ll be offered the chance to buy tickets for the next game. Simply click on the tickets you like the look of or let the computer decide for you, and you’re in the next game. At the best UK bingo sites, you’ll have the option to turn off automatic daubing which is the crossing off of the numbers on your cards that have been called. Very few players will choose to do that. Then the game begins. The numbers pop up, or drop and your card will fill up with crosses. The first players to complete one line, then two lines, then the whole cards will be awarded prizes, and it all starts again. Chat games are a big part of online bingo. As soon as you arrive in most rooms you’ll see a large chat screen. You can talk about the game, the weather, your stars or politics – anything, as long as you obey the rules. You can also play chat games. These can be anything from simple quizzes to word games or number matching challenges based on the calls in the game. Winners are usually awarded prizes in loyalty points or bonus funds, though big promotional games may have better prizes. Another online extra is the 1TG, 2TG, 3TG and so on prize. That rewards players who were one ball (or two or sometimes three) away from completing a card with a prize. This is usually a smaller pot of money that is shared between all players who were within a hair’s breadth from a bigger win. There are also side games to be considered. Almost all bingo sites also offer slots, scratch cards, instant win games and casino games. If the bingo isn’t keeping you busy enough and the chat doesn’t interest you, then click on a game and play while the site monitors your bingo cards. You could win two prizes at once! 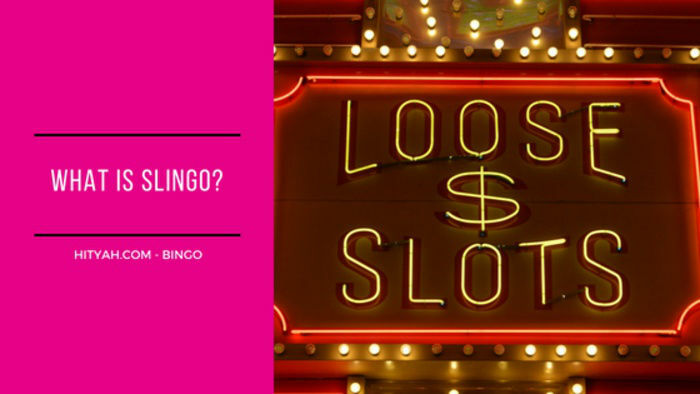 Aside from learning how to play bingo online, you should also learn about essential online bingo lingo. If you are not familiar with these terms, you can easily get swamped and confused with the number calls that the moderator uses as well as with the shortened terms in the bingo chat box. 'Roomie' is probably one of the terms that you should first know about. This word is used when you are referring to other players inside a chat room. You might even see shortened phrases like WTG (way to go), GL (good luck) and WD (well done). There are so many things to learn, but once you get through the basics, all the other terms will be easy to remember. To get players to a bingo site, they need to know about it. That’s led to a boom in TV advertising, often featuring big-name celebrity endorsements. Adverts for gaming are regulated both by the Advertising Standards Authority, and the Gambling Commission. Some of the big celebrities who are involved in bingo via TV advertising are Peter Andre, Katie Price (the ex-Mrs Peter Andre), Sharon Osbourne, Kerry Katona, Mel B, Barbara Windsor, and surprisingly, Vic Reeves! Most adverts focus on the most competitive area of the industry, the welcome bonus. Offering players multiples of their first deposit in funds they can wager at the site is the standard for a welcome bonus these days. Free play is also a popular carrot. One site even posted new players a cake each! The classic bingo game for UK players is 90-ball bingo with 15 numbers on a three-line ticket. In America, they favour 75-ball bingo, with square tickets with 25 numbers. This sized ticket is also most often used for pattern bingo, where players compete to cross off numbers that match a target pattern. You may also see 80-ball or 40-ball bingo. Swedish five-line bingo is played on a 75-ball card in three rounds. The first round is won with a single completed row; the second round prize goes to the first player to fill three rows; the game ends with a full-house or a blanked out card. There are a number of other variants, some played only on one site. One of the joys of online play is you’re never far from a link explaining a new game for you to try out. In the UK, bingo was traditionally played by older, working-class women, a demographic who also enjoyed a cigarette with their game. From 2006, smoking was banned in public places in the countries of the UK, starting in Scotland. Within a year, Rank had closed 17 of its halls and in 2008 Gala bingo shut the doors on five of its facilities. It should be noted that new laws on gaming, a preference for the online game and a whole host of other economic and demographic reasons could have contributed to the poor performance of those halls. Social media is the big story online these days. Bingo has followed the fashion to set-up shop on networks like Facebook. Bingo Friendzy, the first real-money gambling game on Facebook launched in 2012. A Google search in October for “bingo on Facebook” turned up 56,800,000 results! Bingo games are simple to set-up and easy to play. Plus social media is natural for such a social game and Facebook must love the revenue they get. Social games can add a new level of play, offering players rewards for sharing, team play, power-ups, virtual trading, and community prizes. Standard online bingo sites would argue they offer all of these anyway. Bingo is a game that is played for money. As such many countries do not allow the playing of it. It is also highly regulated in most territories that allow it. In the UK, the Gambling Commission regulates bingo games. Some smaller games and fundraisers can be run without a licence. If online bingo is being played by UK customers, it must have a UK licence. This works to protect players. You should check that any site you use is properly licensed by the UK Gambling Commission before you hand over any money. The online world has gone mobile at enormous speed over the past few years. Mobile browsers have outnumbered users of desktop machines since 2014. Gaming has been an online innovator. 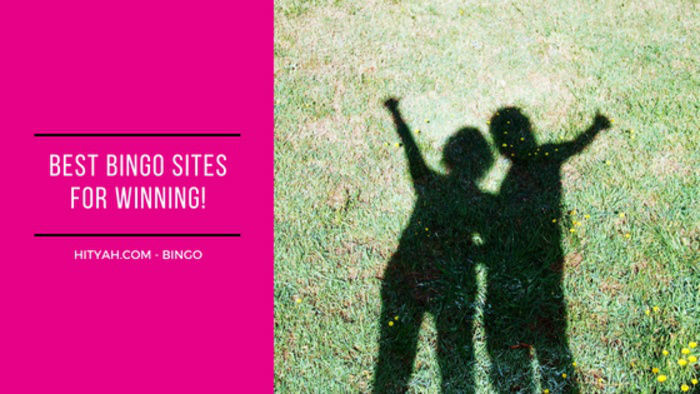 It’s no surprise to find bingo sites shouting to their players about the opportunity to play in bed, the bus queue or the bath! 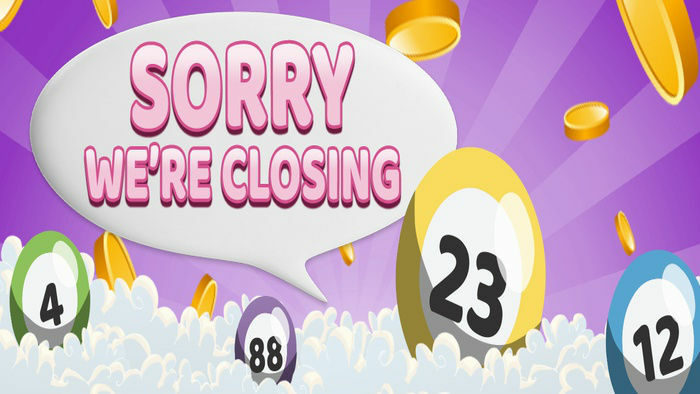 First came mobile sites, now many sites offer free bingo apps to download and tap to play. Rank, who run Mecca Bingo, was earning 6% of its online revenues from mobile by 2011. Bingo is growing fast on all platforms online, but from April 2013 to March 2015 the increase in mobile players was a whopping 22%. While the game works brilliantly on smaller screens, it has proved a challenge to match the full site experience including chat games and the like. Online bingo has a very bright future on all sorts of platforms. And competition for players means that offers and quality of experience will be at a premium. There’s never been a better time to get your own balls rolling!